This week, Jorge and I take a trip to the theater and discuss the recently-released Indie Game: The Movie. It's a documentary featuring the creative folks behind three of the most well-known independent games of the past few years: Braid, Super Meat Boy, and Fez. The movie offers a glimpse of the extremely personal journey of making a video game and explores the personal and professional challenges they face along the way. The film has generated a lot of discussion inside the video game community and in broader press and we're looking forward to hearing your thoughts in the comments! 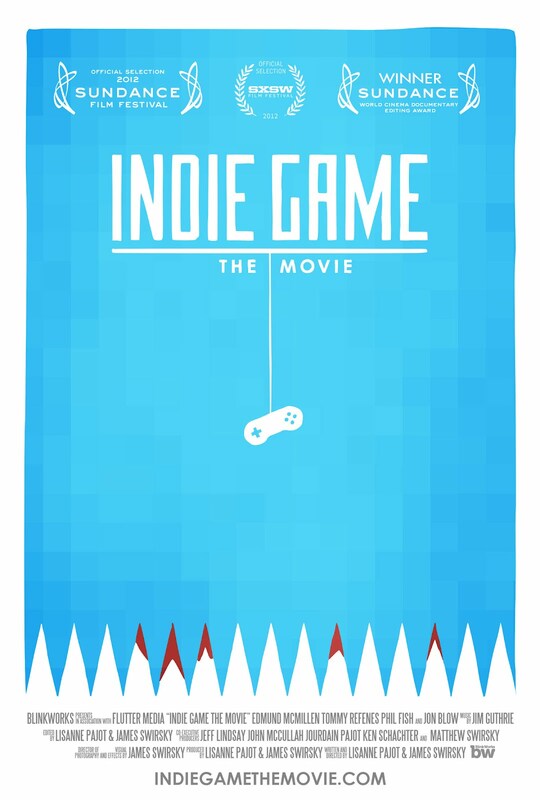 - What does the film teach us about the independent scene and the video game industry overall? - Who is this movie for? What can gaming enthusiasts take from it and what might newcomers learn? - What other independent developers would you like to see highlighted in a movie? I'm late to this episode but i just want to point out that there's a great article on gamasutra that talks about indie game failures, while not intended to be you could probably take it as a counter point to this movie. This looks like a really interesting article; thanks for sharing! It's brave to be so honest about a failed project. 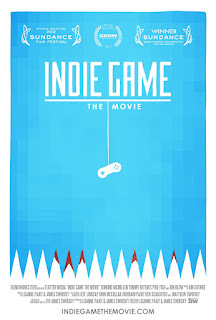 I just finally got around to watching Indie Game: The Movie, so I'm a bit late to the party here. I'm not sure if it is just this style of documentary making, but I can't help but feel that this film preyed on my senses more than it had anything of interest to say. About a 1/2 hour in the non stop music and depth of field, random close ups, rapid cuts, and depth of field adjustments really distracted me from what the movie was trying to portray. All in all this seemed like the documentary equivalent of the Skinner box. I got the same feeling while watching this as I did in playing Max Payne 3, it is easy to see where the influences came from, but the creators don't exactly know when to back off on the style. I found that the substance of the film was address (parental issues, squabbles, etc) but never investigated, probably as a result of the overbearing style. While I didn't enjoy the movie, I am glad it exists, if for nothing else to inspire more people to dig a little deeper into game development. Hey Matt! Better late than never. I agree wholeheartedly on the style bit. Sometimes it worked for me, but it definitely felt like a first-time work in its heavy-handed stylistic choices. I think I fell in your camp by the end of it: I'm glad it exists, but really wish it had been better.